Stunning Keisha: Happy Turkey Day! I'm thankful for my furrends and readers. Way to keep it real, CK! Happy Thanksgiving to you and TW and Pop. I hope you have a really lovely day. 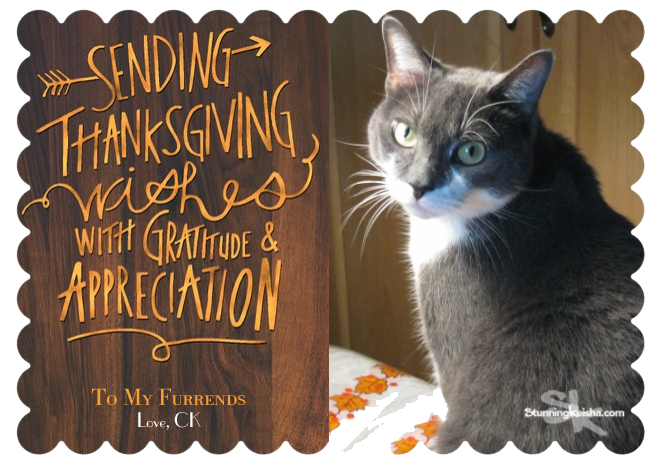 Happy Thanksgiving from all of us CK! What a great photo of you. Very happy Thanksgiving, CK! I hope you have a super special day my kitty furiend!!!! Happy Thanksgiving! Have a Happy Thanksgiving, my friends! I am so grateful for YOU! Happy Fanksgivin' to yous too bootyfull, and yous furmily. And fanks fur bein' ow furiends. Happy Thanksgiving dear friend. We are very thankful for your friendship. 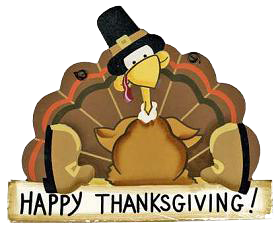 Hope you have had a great Thanksgiving Day. Happy Thanksgiving! Hope you all had a wonderful day!!!! Happy Thanksgiving, CK, to you and the Woman and your Pops. Thanks for your furiendship. Happy Thanksgiving, CK! And you know that YOU are the reason we keep coming back. We love you, and are so very grateful for you, TW and Pop! Aw, how adorable. Happy Thanksgiving to you and your family, CK. Hoping you all had a wonderful Thanksgiving! I hate to be redundant, but really, this image is stunning. Hope you had a happy Thanksgiving!